At the time of this writing, Bitcoin just blasted through to another all time high. At times like this, people all around the world are wondering, “How can I buy Bitcoin?”. If this sounds like you, or if you simply want to know about one of the best exchanges in crypto, read the rest of this Kraken review below. What is the Kraken Exchange? Kraken (that’s “Crackin‘” if you live in the United States and “Cray-kin” if you’re in the UK) is one of the few crypto exchanges in the world where users can trade fiat currency (Euro, US and Canadian Dollars, Pounds, Yen) for Bitcoin. There are many other exchanges that allow people who already have Bitcoin to trade it for other coins, but there aren’t that many places other than Coinbase that let you buy in with cash. Kraken is old in Bitcoin years. The company was founded in 2011, just two years after the first Bitcoins were traded. Kraken is based in San Francisco, but it’s the #1 crypto exchange for Euro, by volume. Kraken helped the crypto community recover after the 2014 Mt. Gox Bitcoin hack, and they’ve done much else to bring crypto into the mainstream. We’ll cover a lot more details about this awesome exchange in this Kraken review. Read on for more details. What’s Unique About Kraken Exchange? One of the first things you’ll notice about Kraken is how minimal and streamlined it looks. It’s easy to navigate because the site never feels bloated. There are only as many pages and features as there need to be, nothing more. One thing that can be confusing to new Kraken users is the use of the XBT currency code for Bitcoin, rather than the more common BTC. XBT is the official currency code of the ISO (the International Organization for Standardization). Maybe it’s more official? Anyway, you’ll soon get used to it. As stated above, Kraken is one of the few exchanges that allows fiat transfers and fiat/XBT trades (XBT/EUR, XBT/ USD). This is a great option because Coinbase has been known to get overwhelmed with new order requests, leaving users without a way to get into Bitcoin for the first time. Kraken also allows leverage and margin trading – a type of trading where a user can borrow money from an exchange to buy assets, to be paid back later with interest. Leverage is the greater amount of money you can use to trade, over and above the amount of currency you actually own. More on this later. Finally, Kraken offers discounted trading for users who buy and sell high volumes of currency over the lifespan of their account. When you hit $50,000 bought and sold, for example, your trading fees go down by 0.02%. This is a big deal for big traders. There’s a lot more to say about Kraken, but you should know by now if you’re interested in trading with this trusted cryptocurrency exchange. We’ll go into greater detail about all of the above and introduce some more important ideas in the rest of this Kraken review. You already know that, like Coinbase, Kraken allows users to buy Bitcoin with USD and EUR. In addition, Kraken has many more trading pairs than Coinbase, which only supports Litecoin, Ethereum, and Bitcoin. Let’s compare this to other popular Bitcoin exchanges like Poloniex and Bittrex. These exchanges have hundreds of trading pairs. If you can’t find the coin you want on one of those, it’s likely available on Binance, or a decentralized exchange like EtherDelta. In some ways, Kraken is the best of both worlds. While it doesn’t have the exhaustive selection of Bittrex, it allows new users to enter the industry with fiat currency. Kraken is also available in most large economies around the world. This cannot be said of a popular Bitcoin exchange like Bitfinex which doesn’t allow American customers. It couldn’t be much easier to sign up with the Kraken exchange. All you have to do is submit a new username and password. Once you’ve confirmed the signup email, you’ll be able to use the full site, with certain limitations. As you can see, Kraken requires more personal information the more money you want to be able to use within the exchange. Tier 0: You can’t do much of anything other than look around the site. Go ahead and move on to Tier 1, OK? Tier 1: This requires basic personal info like date of birth and phone number. You can now take Bitcoin and altcoins you have in other wallets and move them into your Kraken wallets. These can now be traded for any of the digital coins supported on Kraken. You cannot buy Bitcoin with USD or EUR, however. Tier 2: Tier 2 will require you to get your home address verified. This security measure helps Kraken stay within the laws of various international tax codes, and provides additional security for the site. At this level, you can deposit up to $2,000 each day, with higher withdrawal limits and monthly deposits/withdrawals. Tier 3; OK, high roller, are you ready for Tier 3? To unlock it, you’ve got to submit your government ID and an image of your face with some other documents. These requirements are pretty standard among crypto exchanges, and Kraken’s long history of integrity should put your mind at ease. In return, you’ll be able to move lots more money, as well as unlock margin trading. What Coins Can You Buy and Sell on Kraken? Kraken has an iPhone app that allows complete desktop performance on the go. The app has yet to be developed for Android, but since a handful of the biggest crypto exchanges don’t have an app of any sort, we’ll take what we can get. How Does Kraken Margin Trading and Leverage Work? To many, margin trading with crypto sounds like a good way to make a risky investment even riskier, but Kraken allows it and you might want to try it, and you can make a ton of money doing it, so here’s how it works. Leverage is a way to use borrowed money to invest in an asset (crypto, in this case). The idea is that if you make a good trade and the value of your crypto goes up, you will have made much more profit than you could have with your money alone. You sell the coins and use some of the money to pay back the loan, then take the rest of the profit and buy a boat. If you have 5:1 leverage and $1,000 in your trading account, you’d be able to buy $5,000 worth of crypto. Margin is a related concept, but it’s not exactly the same thing. A margin is the amount of money that is held as collateral when trading on margin. It’s money that you can see, but which you can’t spend. It’s important to note that if you make a bad leveraged trade and lose money, you could lose a lot more than your margin. Leverage trading is risky and should only be performed by people who really understand the market and the potential hazards of this kind of trade. If this doesn’t make sense, maybe don’t worry about leverage. Just trade with what you have. If you do understand leverage, we wish you the best of luck. What Are Some Complaints About Kraken? Recently, people havre been complaining about Kraken quite a bit. And it turns out they have a point. Like so many systems in the cryptocurrency industry, Kraken is having a scaling problem. Just like Bitcoin, Kraken has become too popular, and its technology is being stretched to its limit. What does this mean for users? If you already have an account with Kraken, you can trade as normal, except on days when Kraken has to freeze features because the system is too overworked. If you don’t have a Kraken account, at the time of this writing you pretty much can’t make one. You can create a login and look around the site, but Kraken has taken down its verification option, so you won’t be able to buy anything. These issues have been going on for a few months now, and Kraken has been very transparent about the issues they’re dealing with. When people call Kraken a scam, they’re usually just whining about something they don’t understand. But when people say they’re frustrated with Kraken, they have every right to be. It’s just that the Kraken development team is also pretty frustrated. As stated above, scaling issues are a big problem for every large system in the new blockchain economy. Blockchain has incredible scaling potential…in theory…but very few large systems have been able to make it a reality. For example, Bitcoin can handle only about 6 transactions per second at the time of this writing. Sometimes the network will have thousands of unconfirmed transactions, just because the network can’t keep up without a major update. Recently, the Ethereum blockchain started experiencing the same problem when the Cryptokitties dApp became a viral hit. Cryptocurrencies are becoming so popular so fast that the whole industry is having growing pains. We want to point this out because Kraken is having the same issues. If you try it and it’s not working the way you want, try back later. The team is strong, they’ve conquered bigger problems in the past, and we think they’ll be successful this time too. But it’s important that we mention this so that you don’t have the wrong expectations. Speaking of the Kraken team, let’s talk a bit about who is in charge of this well known crpyptocurrency exchange. Kraken was founded by Jesse Powell, who remains acting CEO. Powell is active in the Kraken community, doing interviews, answering questions, doing the occasional Reddit AMA. Many Bitcoin exchanges have anonymous leadership by comparison, so it’s nice to have someone who takes responsibility for Kraken, the good and the bad. Kraken employs a growing team of more than 70, with dedicated customer service representatives available by creating a Kraken support ticket. In most cases, Kraken support is responsive within 24 hours, which can be unusually prompt for a cryptocurrency exchange. Here we offer a shout-out to whoever does Kraken’s social media. Whoever you are, keep bringing the lolz. Kraken is easy to use, but if you’ve only used Coinbase, or if you are trying to buy Bitcoin for the very first time, it can be a little challenging. We hope this Kraken review has been very helpful, but if you still have questions, this video from Crypto Collision will walk you through the sign-up and trading process step by step. At this point you should understand what Kraken is, how to sign up, and what Kraken can be used for. We’ve explained what Kraken is, but do we recommend it? When it’s running on all cylinders, Kraken is one of the best Bitcoin exchanges in the game. But Kraken hasn’t been at peak performance for awhile now. This is incredibly frustrating for Kraken’s long time users, and for people trying to use the exchange for the first time. We think Kraken is going to make it. They remain transparent on social media and responsive to customer questions and complaints. They were so good for so long, we expect great things in the future. If you try Kraken and it works as advertised, you’ve found an awesome crypto exchange. If features are still locked, wait and try again later. This is not ideal for users, but it’s also a sign that Kraken remains incredibly popular. 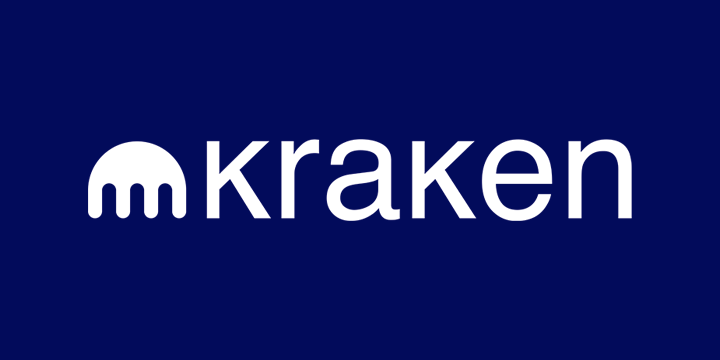 As it grows to support the onslaught of new traffic, Kraken will regain its role as one of the essential cryptocurrency exchanges. Looking for somewhere else to trade?